From our holiday to Hamilton island to my first public speaking event as a mum and lifestyle blogger PLUS the highly anticipated grand opening of the redevelopment of the Sunshine Coast’s premier shopping destination the Sunshine Plaza, March was full of wonderful events. The beginning of the month started with a little shopping spree and if you have been following my journey over the past couple of months you would know that I recently completed a styling e-course by Sydney based stylist Josephine Eve. As you might recall, Josephine had me strip back my wardrobe completely and this month I had the exciting task of filling in those missing pieces. Since completing the ‘How to create your dream wardrobe’ e-course by Josephine Eve I know how to shop with certainty. On my shopping trip I took my shopping list with very specific items to look for and this process alone ensured I would not get overwhelmed. Although I set out with a rather expansive list, I returned home with only a couple of things but that’s okay. This means that I shopped with intention and did not fall victim of impulsive buying which is something Josephine talks about in her course. Rome was certainly not built in a day and the same can be said about your dream wardrobe. So I move forward with confidence and will continue to hunt for those perfect pieces for my new wardrobe, not feeling disheartened if it doesn’t happen overnight. I also completed a one on one styling consult with Josephine Eve which provided yet another depth of understanding in my knowledge about style, particularly when it came to understanding my body shape and types of clothing that would suit me. March also saw our family take off to our favourite little hot spot Hamilton Island and I can’t wait to share my very first vlog with you about our experience coming soon. We stayed at the dreamiest family holiday accommodation the Yacht Club Villas (‘think Qualia for families’) where you can snap up a villa can easily accommodate large groups of 10-12 people. When you divide the costs between a group of people the price is reasonable - a great way to enjoy a luxury holiday! We snorkelled the Great Barrier Reef with Cruise Whitsundays and enjoyed everything this magical island has to offer and I will share more of our adventures in my vlog so stayed tuned. Our family also completed the ‘Take 3 For The Sea’ challenge which encourages people to make a difference by taking away three pieces of plastic every time they go to the beach or past a waterway. An estimated 8 million tonnes of plastic enter our oceans each year which contaminates the land, air and sea. The idea is when we all take three next time we are at the beach, we can see big results in our environment so I encourage you to make this a habit like our family now has. March was also the month that Marie Forleo’s one and only B-School commenced. Marie Forleo has been one of my favourite digital entrepreneurs for years and is the star of Marie TV. This eight week interactive online training ‘teaches smart, effective online marketing strategies to business owners who want more sales and more impact from their online presence’. I first completed this amazing program back in 2016 which I continue to revisit each year for inspiration and motivation. March brought a stellar line up of events starting off with the launch of Dash of Milk Social Media Agency at Mercedes Benz Sunshine Coast. Local Sunshine Coast mums also gathered to blow off some steam and have a laugh at the Mums Soiree by Mums Gone Crackers at Pier 33. On the panel at the Essential Baby and Toddler Show in Brisbane. I also featured on the panel alongside Katie from @mumsofbrisbane and Kirsty @Kirstymckenzie__ at The Essential Baby and Toddler Show over three days in Brisbane talking all things ‘healthy mind, healthy body’. 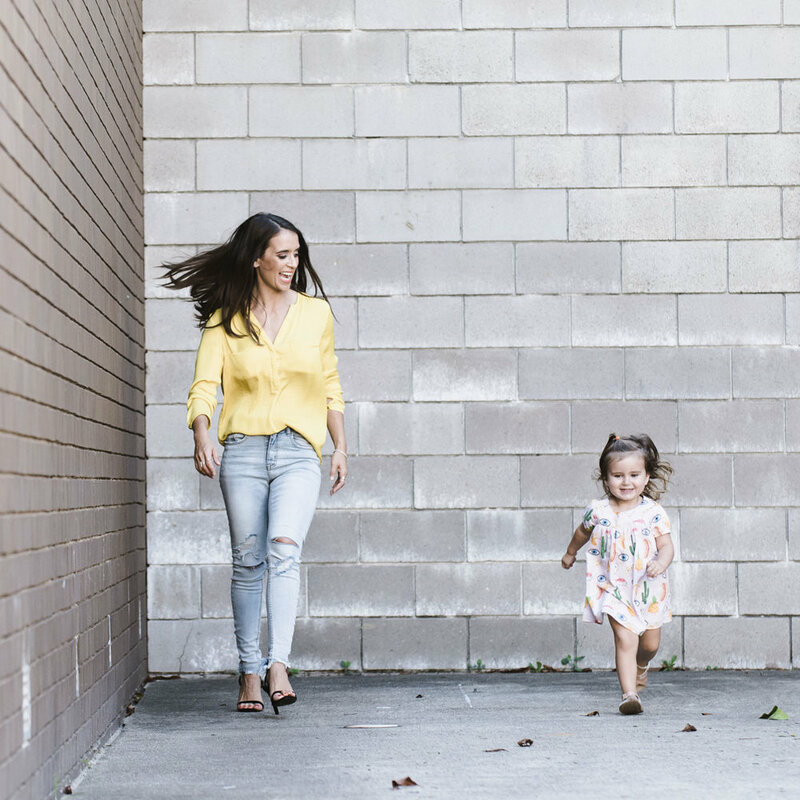 We chatted about mental health in parenting, the challenges facing parents, keeping healthy and motivated and finding and prioritising yourself again after becoming a mum. The message was clear and that is, there is no such thing as being a super mum or a ‘perfect mum’ and we can only do the best we can. Most significantly, it’s important to reach out to those around you, accept help and support whilst honouring and being kind to yourself along the journey. You got this! Enjoying the illuminated photo booth as part of the Grand Opening of the Sunshine Plaza redevelopment with @lifewithcorlina. And finally, I had the absolute honour to be invited to be a part of some of the biggest news that has happened on the Sunshine Coast in a long time for the fashionistas, ‘shopper-holics’ and the like, with the grand opening of the Sunshine Plaza redevelopment. The Sunshine Plaza now hosts the regions first David Jones, H&M, Sephora, Sheike, Lululemon and Big W Concept Store plus many more exciting retailers to come including Ralph Lauren, Tommy Hilfiger and Aje! 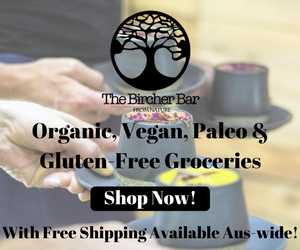 For you city gals who are like ‘so what?’ for us Sunshine Coast ladies this is a major deal as we have never had these shops on our doorstep before often having to make the trek down to Brisbane to go shopping for some of our favourite brands. The Sunshine Plaza grand opening celebrations weekend delivered a line up of entertainment, activities, workshops and giveaways plus celebrity guest appearances from the likes of Erin Holland, Jessica Gomes and performances by Nicole Millar at the VIP Launch Event. With the launch of this super-regional shopping centre, and the development of both the Maroochydore CBD and international airport in the near future, the Sunshine Coast is set to put itself on the map as a leading tourist destination for visitors all around the world. Special mention goes to the girls from Haras and Co for always keeping my hair looking fabulous especially for events. Thank you also to my favourite makeup artist Erin from Erin Fedele Beauty and Make Up Artistry for always making me look and feel ‘beauty-ful’ and ready for events, even with a massive cyst in my eye (which later got surgically removed) but you would have never known because Erin ‘got the skills’. Thank you also to Stephanie Black for being my personal paparazzi. Coming up next month I’ll be channelling my inner Beyonce at the The League of Extraordinary Women’s #Runtheworld2019 Female Entrepreneur Conference in Brisbane on Saturday, 6 April 2019. This is their 11th conference with an amazing line-up of speakers this year including Sarah Holloway, Alison Rice, Pru Chapman, Jess Rufus and many more which you can find out about here. I am giving away a double pass to this amazing event so stay tuned for details on how to win on my instagram.